Billowing smoke taking over the sky from a forest fire is not what you want to see when touring through Kluane National Park in the Yukon, Canada but it is not an uncommon sight in this area. Many different areas of the wildland in the Yukon have been destroyed by fire and the firefighters are always prepared as there are about 100 each year throughout the Yukon. 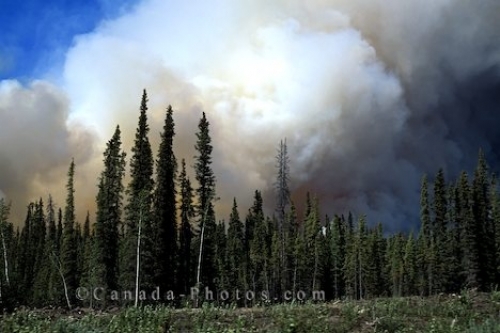 Picture of smoke billowing in the Yukon sky in Kluane National Park as a forest fire destroys the wildland.